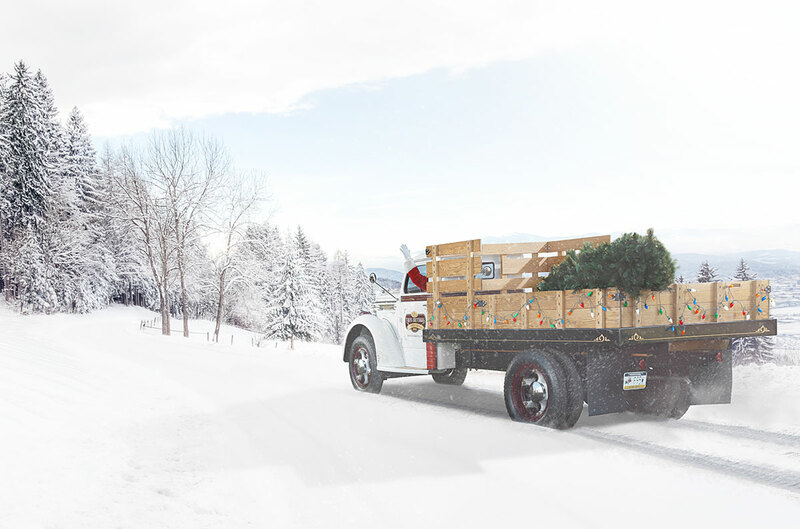 The client wanted to recreate a classic holiday image for their company Christmas card featuring one of the business owners driving a vintage truck down a snowy road. However, in order to meet the necessary deadlines for printing and mailing, the image had to be created earlier in the year when there was no snow on the ground. Our solution to this problem was to photograph and truck and driver separately and create a final composite image with a snowy background. The client chose a stock image as the background, and the truck was photographed from the appropriate angle, using strobes to create artificial sunlight. 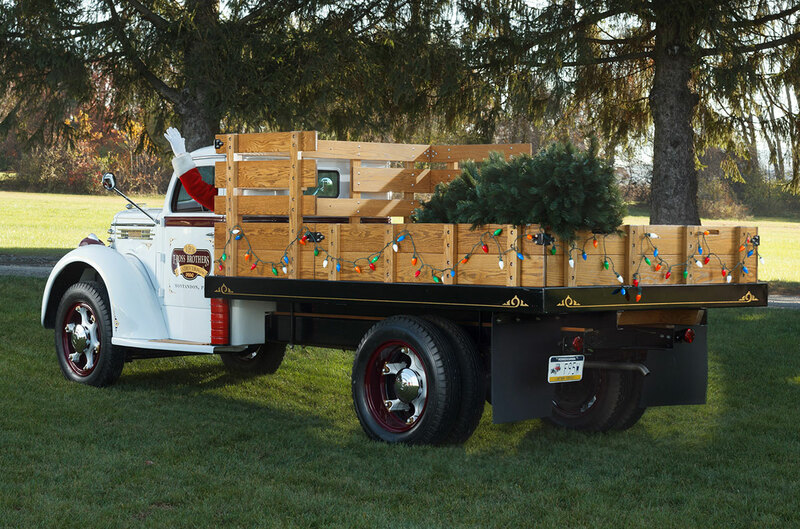 The marketing team at T-Ross Brothers reached out to Allen Mowery Photography with a unique situation: they needed a snowy image very reminiscent of Norman Rockwell created for their Christmas card, but snow wouldn’t be arriving until perhaps a couple months past their deadline. We decided the best way to accomplish this would be by creating composite image. After selecting a stock photo that would serve as the catalyst for the specific angle and lighting we would need, we set about working to craft the image. Controlling a stationary camera remotely, we created numerous lighting layers, each highlighting a specific characteristic of the truck and and driver or providing artificial sunlight to create shadows. When the shoot was finished, the individual lighting layers were selectively combined into a single image in post-production. This image was, in turn, composited into the snowy scene, creating a nostalgic image that captured the client’s vision perfectly. This is the base frame from which the entire composite was built. The scene was photographed in the shade to allow full control over lighting the scene using strobes and off-camera flash units. The truck and driver were lit in stages, allowing us to make sure sure that each detail was captured perfectly and to give us maximum flexibility while editing. This is also where we used composited layers to simulate sunlight to add a more realistic dynamic to the final image. 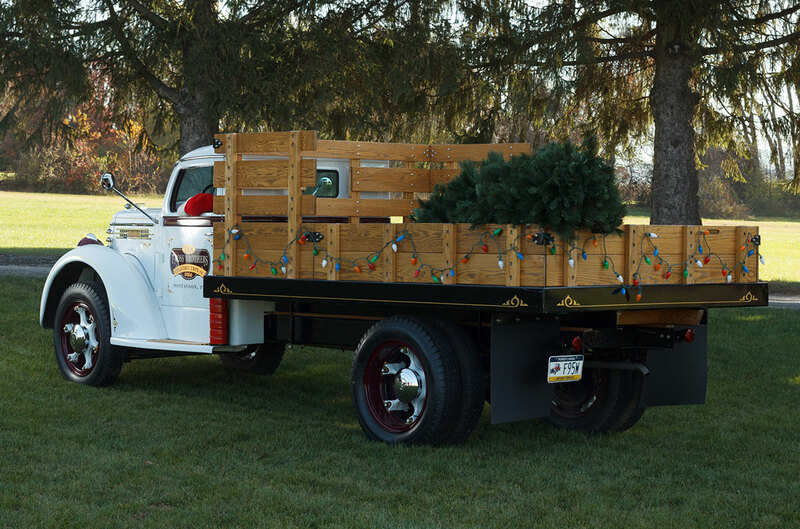 The final composite was created using the multi-layered image of the truck, a stock image to set the foundation for the scene, and a variety of other images and elements to create this nostalgic branding image.